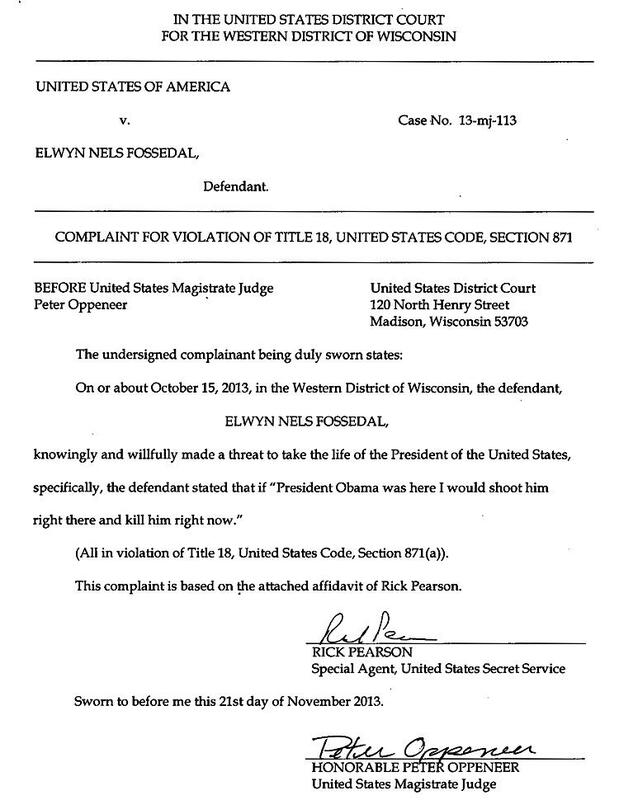 NOVEMBER 22--An 81-year-old "birther" was arrested today and charged with threatening President Barack Obama’s life, according to federal court records. 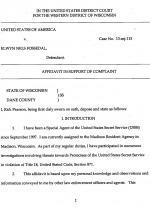 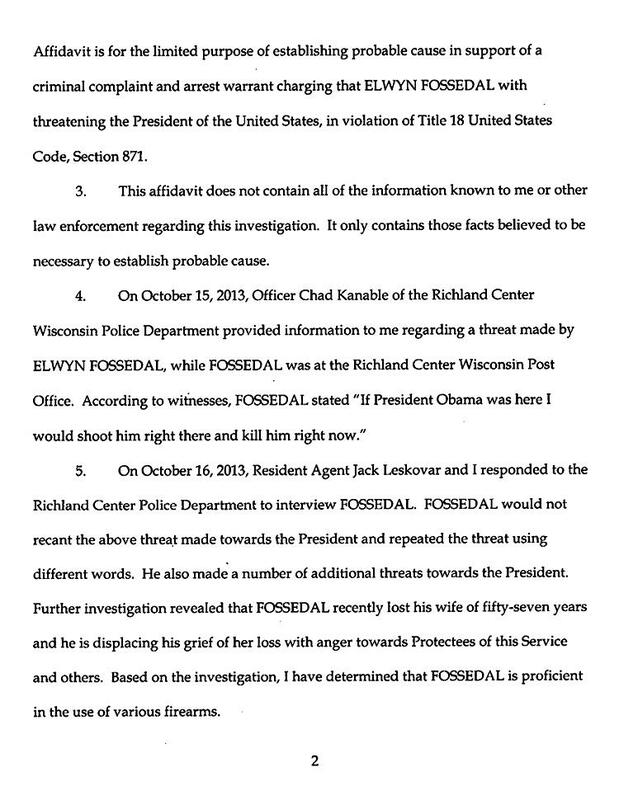 When Secret Service agents confronted Fossedal about the threat--which was relayed to law enforcement by witnesses--he would not recant the statement and “repeated the threat using different words. 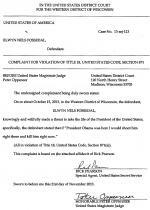 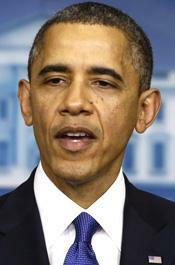 He also made a number of additional threats towards the President,” according to a felony complaint. 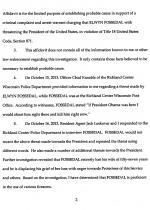 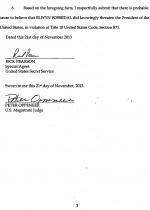 A Secret Service investigation determined that Fossedal’s wife Margaret Ann--to whom he had been married nearly 57 years--died in early-October and that “he is displacing his grief on her loss with anger towards” Obama and other public officials being protected by the Secret Service. 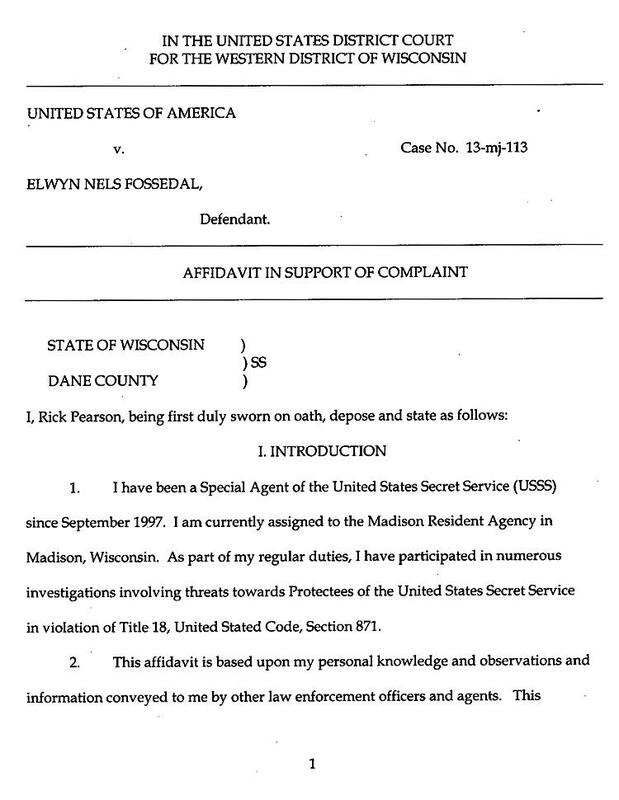 Pictured above, Fossedal this morning made an initial appearance in U.S. District Court in Madison, where a magistrate judge ordered him detained. 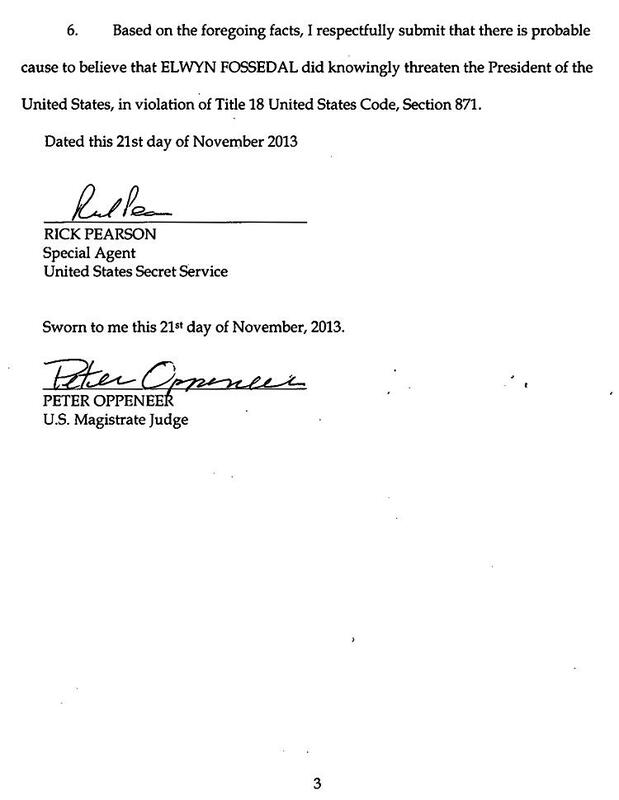 If convicted of the threat, he faces a maximum of five years in prison.